There are many situations where Legionella testing will not be required or is not considered vital for the domestic water system providing it is well managed. However, there are many situations where the requirement for testing becomes beneficial or even essential in understanding and prioritising remedial actions to reduce risk, or to verify the effectiveness of a control scheme for example. Sampling and detecting legionella requires specialist help. When a sample is taken for analysis it will normally take between 10 and 12 days before you receive your final Legionella result. This is because when using the culture method for Legionella identification, you are required to wait for the organism to grow on the inoculated plate. This can take up to 10 days before anything can be identified. Whilst the landlord now has a legal responsibility to prevent or control the risk from legionella in their properties, it is also important to educate the tenant into risk prevention. 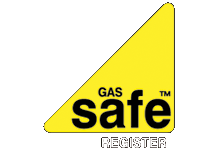 Water safe solutions can work with all parties involved to create a safe environment for the tenant to live and offer peace of mind for the landlord.